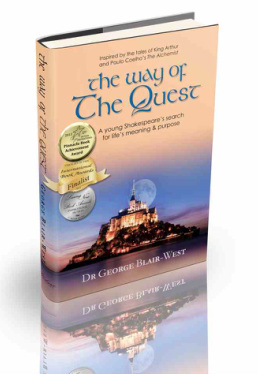 The Way of The Quest - Are you Questing? "Hi George, I read your book The Way of the Quest and would like to thank you so much as I have now found my quest in life. I have created my own business as a result of reading your book (it's called Harmonious Connections). I was able to resonate with each of the characters in the book ... and then I found myself within the pages! I have finally discovered what true Alchemy represents and how when connecting with our purpose in life it brings pure joy. Thank you again so very much." To visit Dr George's Blog to hear his latest thoughts, click here. After coming runner-up twice, The Way of The Quest has finally jagged first place. In the North American, Pinnacle Book Achievement Awards, announced in 2013, this 'self-help' novel finally took out best book in the "Inspirational" category. Then, on the Amazon Mother's Day free promotional weekend - where the book was free for download - it took two categories, internationally, for a run. It came fifth in the 'Motivational Self-Help' category (ahead of Ellen DeGeneres latest book) and came second in the 'Metaphysical' category. Written in the style of Paulo Coelho's "The Alchemist", this story takes the reader further into the 'how to' of finding one's meaning in life and the purpose that this guides us too. In particular it deals with the forces that hold most people back from taking on what is perhaps life's most important quest. In May 2012 the International Book Awards results were announced. 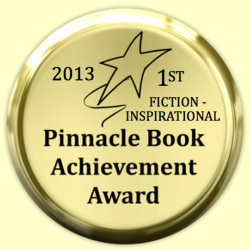 The Way of The Quest, was a finalist in the 'Visionary Fiction' category. (There are only two official award levels: Finalist and Winner. *) "I was very chuffed to be recognised in these awards as the Americans, make for very tough competition," Dr Blair-West said. "The International Book Awards this year attracted over a thousand entrants," the organiser, Mr Jeffrey Keen of Los Angeles, California, said. "Being what I call a "self-help novel" I was pleased that the reviewers got where i was going with a book that does not fall neatly into a traditional genre. The book is about the 'how to' of finding one's meaning in life, and the purpose that this informs. Equally, it was also about how young men need to conduct themselves in a complex world of conflicting demands. The old Celtic saying: Never give a sword to a man who cannot dance, sits behind the relationship between the 16-year-old angry, confused young protagonist and the masters he meets on his personal quest." Dr Blair-West added. *Media note: Official Finalists can use the following wording: "Award-Winning Finalist in the Fiction: Visionary category of the 2012 International Book Awards" … A major publicity campaign announcing the award results is already underway and will continue throughout the summer... - International Book Awards. 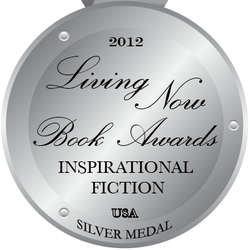 ** From the Living Now awards press release - for more visit the Living Now site.